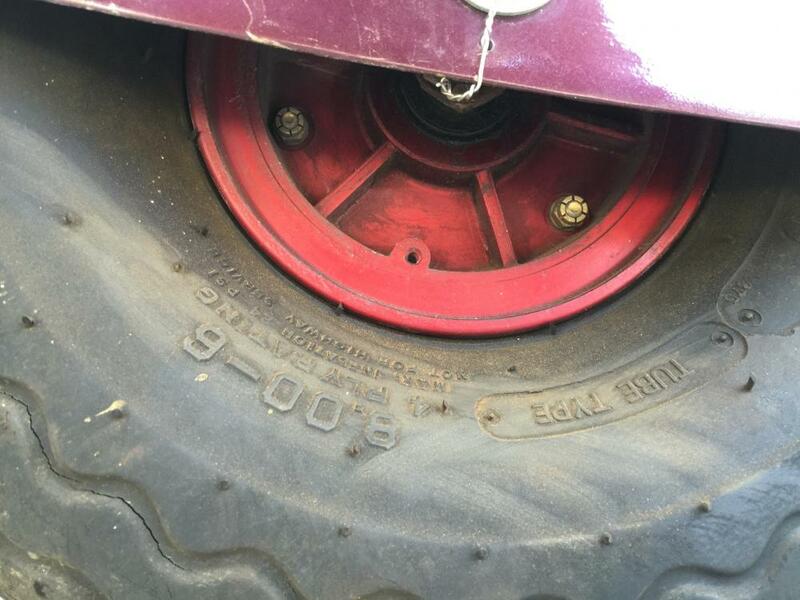 WHO listed parts and 800x6 TIRES For Sale? I've got one good McCreary 800-6 and 2 tubes! I don't know either, but it would be nice if you could pick up a set of 21" Dessers on a good deal, that's what I'm looking for to! My other McCreary has a shallow cut on the inside wall half way around it,. 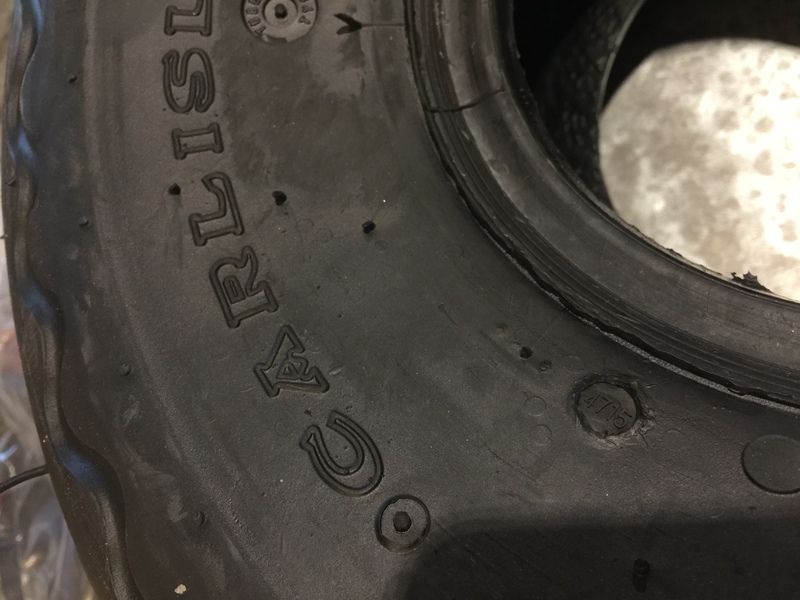 For what it's worth the Carlisle tires that Nick posted up are fairly good. 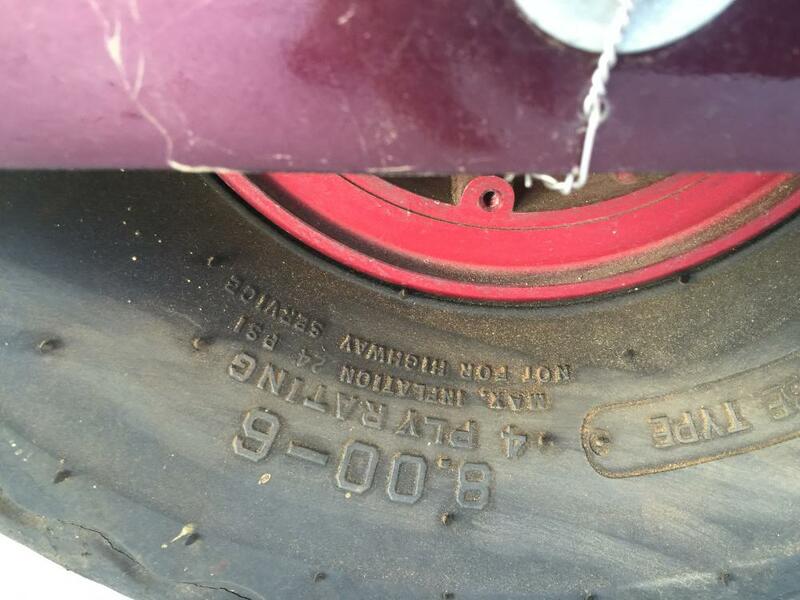 They aren't a true 800 series tire for some reason. They are undersized just slightly. However, they work really well. That's what the Pursang had on it and I have two good sets, one not even installed. Hopefully someday I'll have something to use them on. EDMO, I used the tubes shown, and they worked well, but I didn't measure their diameter. They were stamped "Firestone" and were high quality and thick. It seemed that they are very inflatable, and can fill a wide array of diameters. 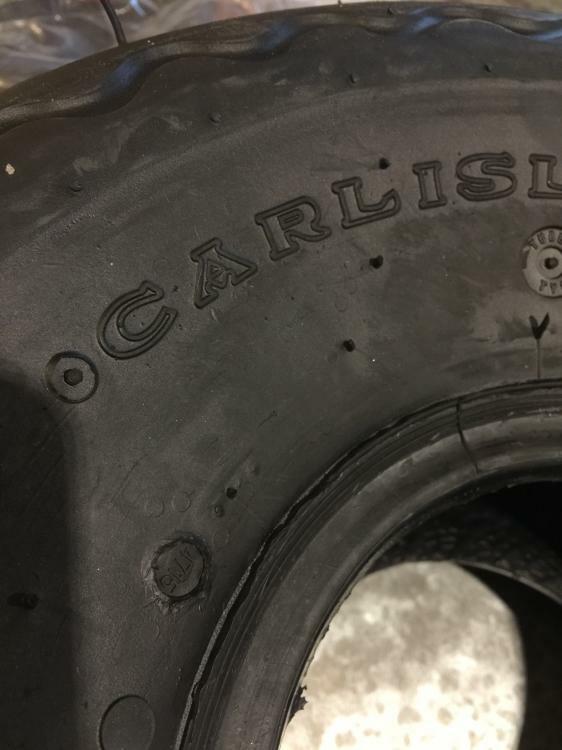 The tires are high quality brand new and made only a few months ago. Sorry Nick - My "Huhmerican" writing sometimes leaves something out - I meant the diameter of the inflated Tires - not the tubes. Ha! I have ordered the tubes, because the ones I get at ACE are probably not as good. Thanks for the added info. Ed, I'm heading to Utah next Wednesday where my tires are. They are inflated and I'll try to check the size when I get there for you. I don't have a set off the gear to weigh though. They are still attached to the bent gear from the Pursang, including the grass from the green on the golf course. Thanks Nick. 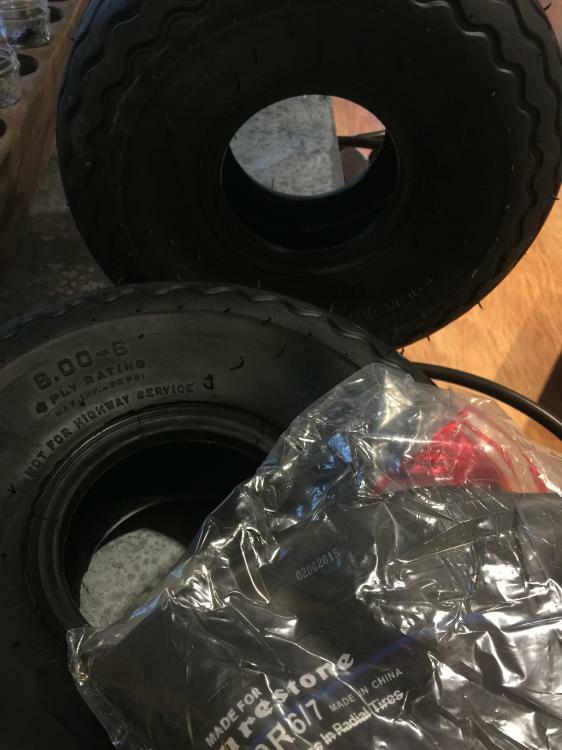 I cant remember if my 600x6 tires are 17 or 19" inflated. These should work fine. 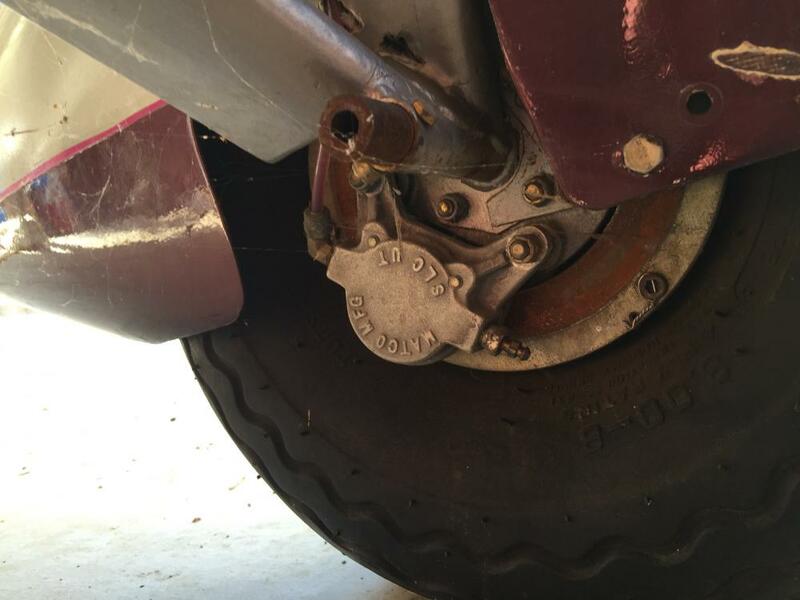 Help me out gents are those eBay tires direct replacements for my avid MKIV and wheel pants? 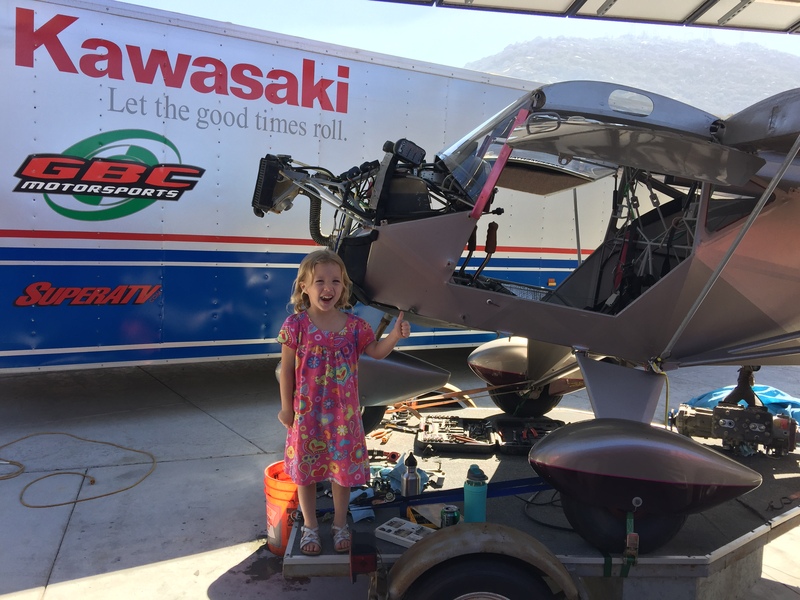 I think I'm going to put the tail dragger gear back on her. She need some new shoes as these ones are dry rotted. They look to be the same size stamped on the side as my original AVID tires. 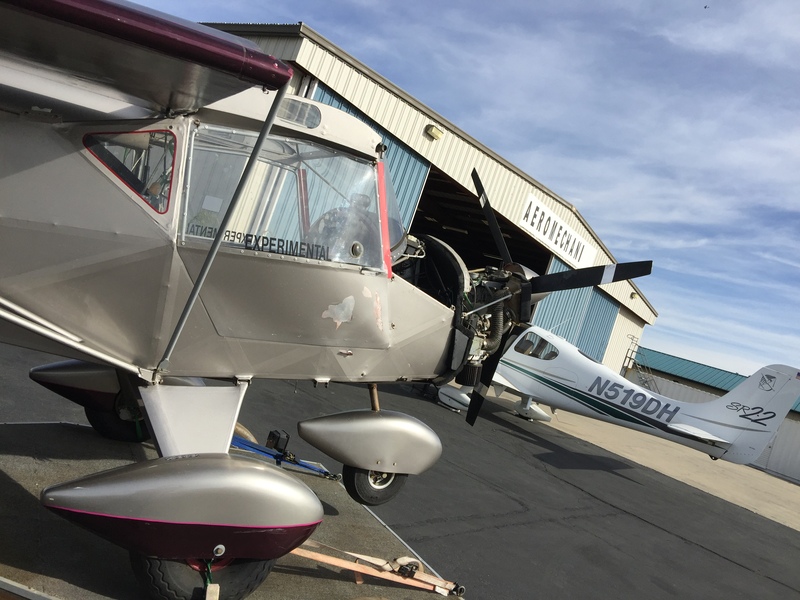 It was mentioned they're a little smaller, how much extra room am I going to have in the wheel pants? I think I'll be ordering that set from that eBay link, unless you guys see a problem? Thanks for the good find gents. They came in and I'm happy. 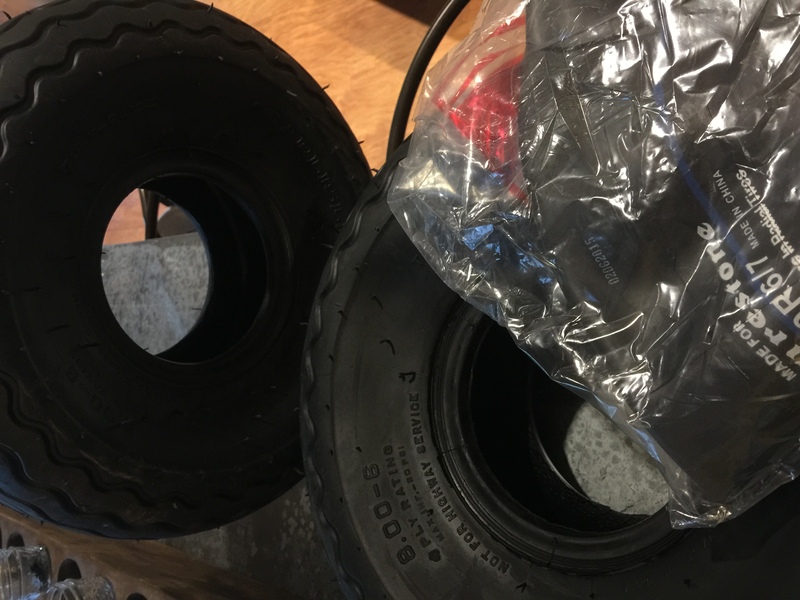 I ordered from that eBay above, the tires and tube are from different sellers. The born on date stamps are from 2015 and are about a year old stock. The rubber looks pliable and like new.